I feel like I say this a lot but this month definitely went fast. I actually thought I wouldn't have that many new favourites since March but i've actually tried some new things which i've been loving. This month i've gone back to having overnight oats, which I plan on sharing the recipe of, as well as trying out a few new lunch ideas. As I mentioned now that it's a little warmer i've been having overnight oats more but I did make some super tasty warm oats with mashed banana, blueberries and topped it with more banana, raspberries and linseed. For drinks i'm still loving tea. 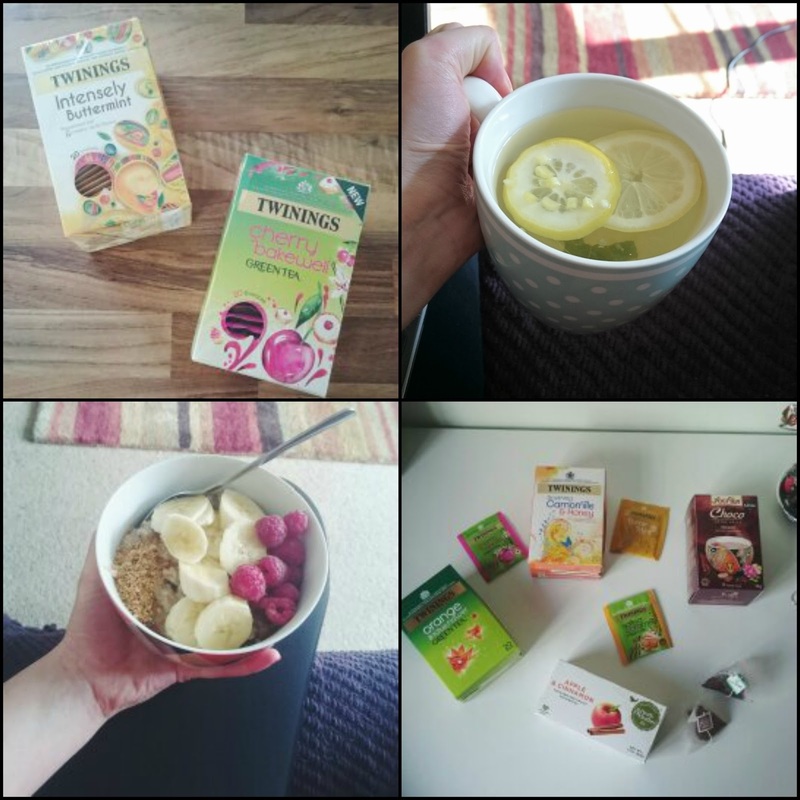 I actually did a post on my favourite teas this month. A new standout has been the Twinings Intensely Buttermint which tastes like Murray Mints, it's so good. I've been loving making veggie bowls this month. I've been doing them with falafel, chopped mushrooms, tomatoes, roasted peppers then doing some spinach and vegetables with cous cous or quinoa in a pan with some seasonings. This is so tasty and really filling. 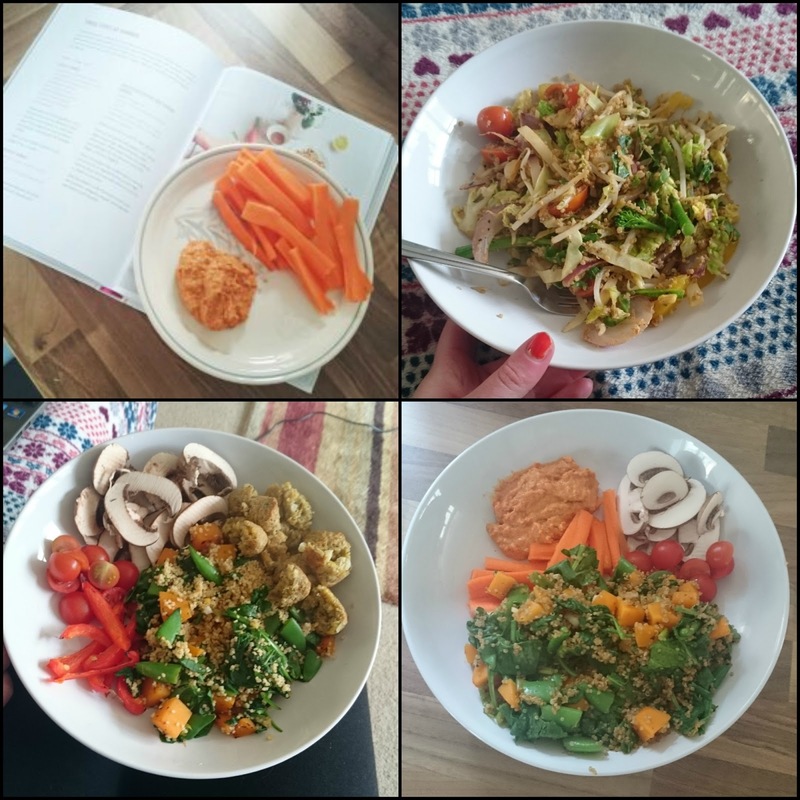 To mix it up I made some roasted pepper houmous from the Deliciously Ella cookbook and had it with that or as a snack in the afternoon with some carrot sticks. Near to the end of the month I started making a lot more stir fry's. I just buy the stir fry vegetable mix and add some more vegetables and either quinoa or cous cous instead of noodles then I make my own sauce with tahini, soy sauces, garlic powder and mixed herbs. This is so quick and light and is definitely a new favourite lunch of mine. I haven't had much time to do as much baking as I would have liked. I've had batches of energy balls in the fridge as normal. 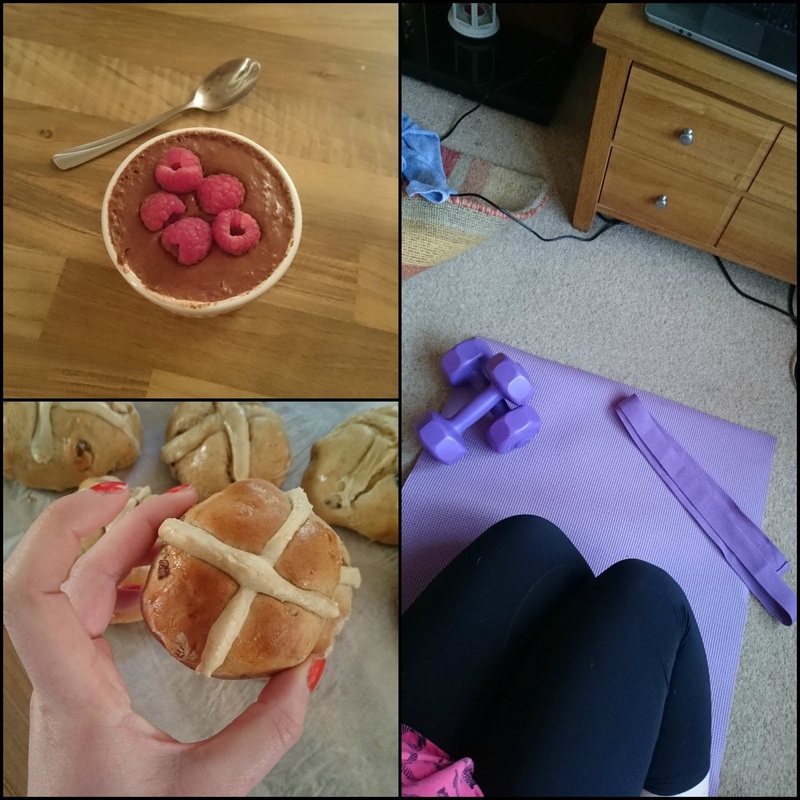 Since it was Easter I made some 'healthy' hot cross buns. These were a huge hit in my house and they only lasted a couple of days! I would definitely recommend giving the recipe a go. I made a tasty chocolate chia seed pudding which was so tasty and a nice healthy treat to have in the evening. I also made an amazing crumble which was so good I forgot to get a picture of it! I've still been working out about 5 times a week and doing a lot more walking. Do go with this i've gone back to doing some yoga as I was feeling a bit achy. I've been doing 10-15 minutes after my workout as a cool down and it's really been helping. So those are this months health favourites. I still had a few treats this month but i've been really focusing on the 80/20 rule and focusing on making the meals I make at home healthy. Have you had any health favourites this month?